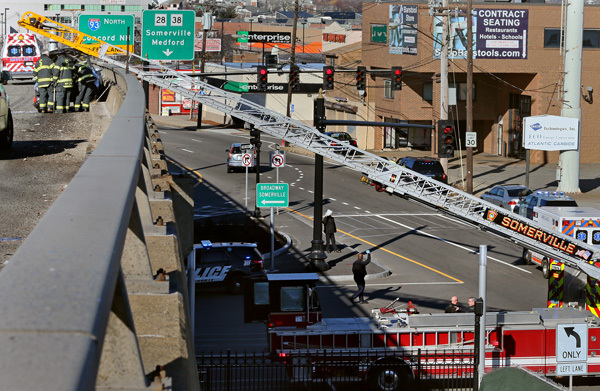 Somerville firefighters climb to a Christmas Eve highway crash. I photographed this unique scene just before noon today as Somerville firefighters, already below Route 93N for a rollover accident on Mystic Ave., heard this one above them and raised their ladder to access the one car crash. Non life-threatening injuries on both accidents were reported. 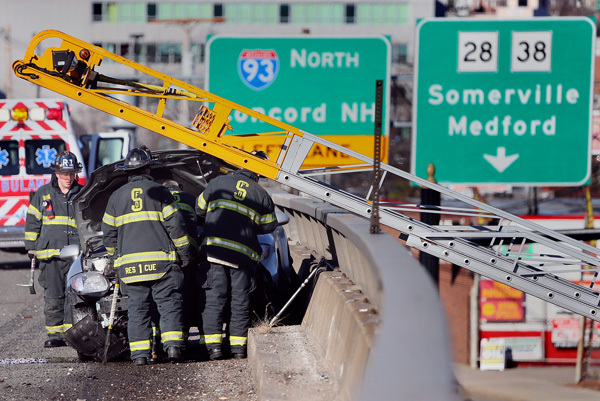 Posted in Uncategorized | Comments Off on Somerville firefighters climb to a Christmas Eve highway crash. 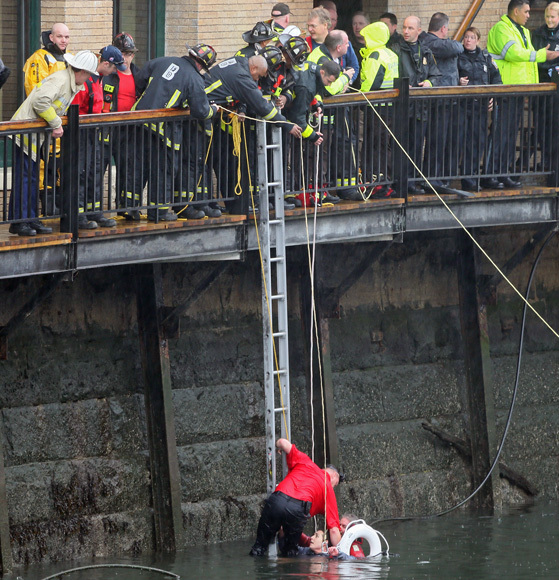 Boston police & fire officials rescue a woman in the water at Fort Point Channel. 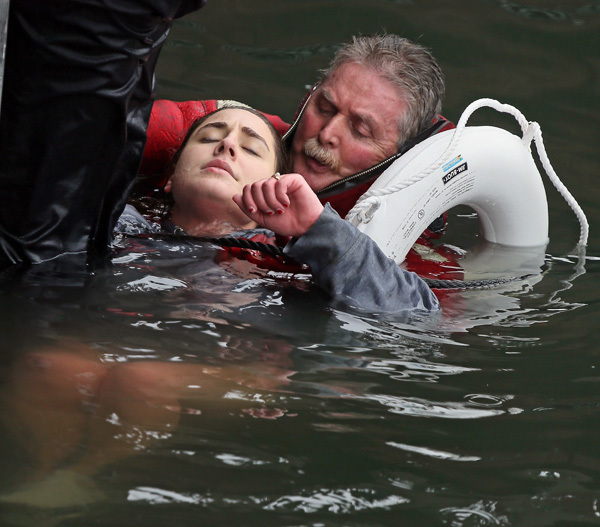 I was at the scene today, in Boston’s Fort Point Channel, where a woman somehow ended up in the very chilly water. 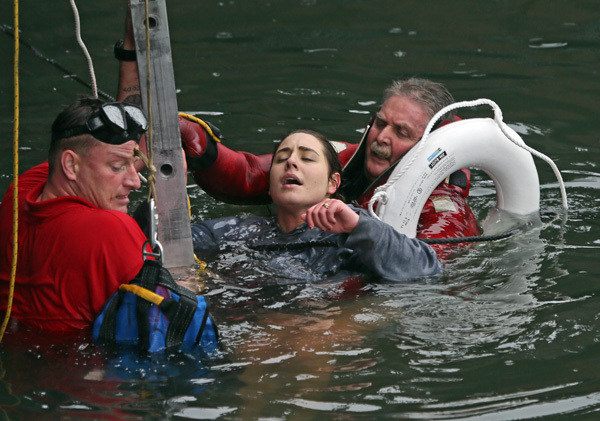 A Boston police officer jumped into the water, stabilized her, and then waited for Boston firefighters and a police boat to effect a rescue. 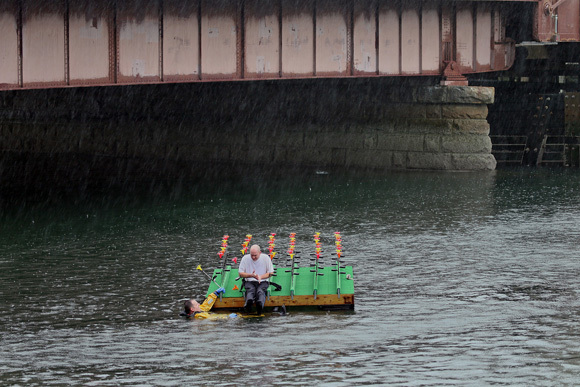 Boston Herald’s Matt Stout has the story here along with more of my photos and a dramatic video by passerby Hal Munger. 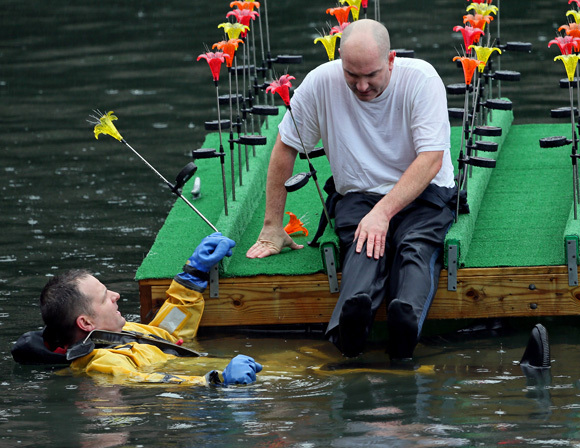 Great teamwork by the first responders. A big thanks to Boston Herald director of photography Jim Mahoney who heard the original call and “pushed me gently” to get there. 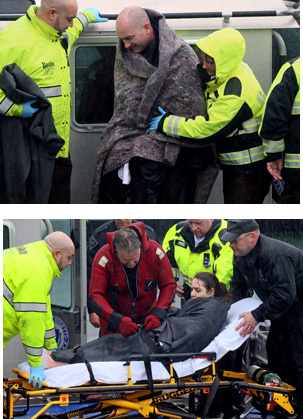 See my photos below as the woman is stabilized and the cold police officer awaits his rescue, on a small wooden pier. Posted in Uncategorized | Comments Off on Boston police & fire officials rescue a woman in the water at Fort Point Channel. 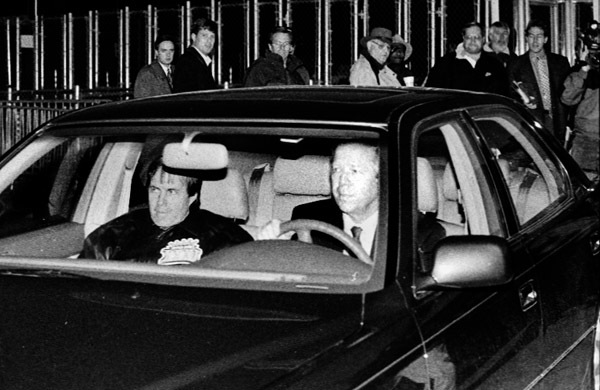 Bill Belichick is driven past a waiting press corps by Patriots’ owner Robert Kraft in this 1997 photo. Does it look like a still from the movie The Godfather? The reason I snapped this photo, I think, was to provide Herald coverage after the Pat’s lost the Superbowl. With me, from top left, New England Patriots PR good-guy Stacy James, the Boston Herald’s Michael Felger, Gary Gillis and several other sports media types. 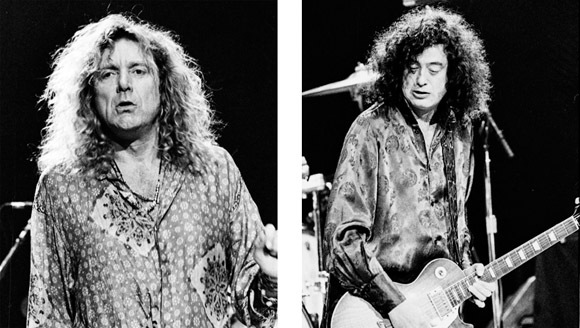 Zeppelin’s Page & Plant, out on their own in Boston 1995. 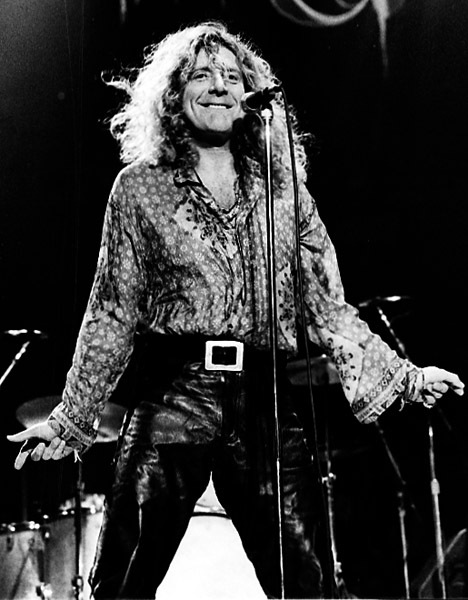 These photos of Robert Plant and Jimmy Page were snapped by me at Boston Garden during the 1st of two shows. I had a blast. Somebody at the Garden let me come back, sans cameras and with a date, the 2nd night. He just said “walk around” for the whole concert. Very memorable! 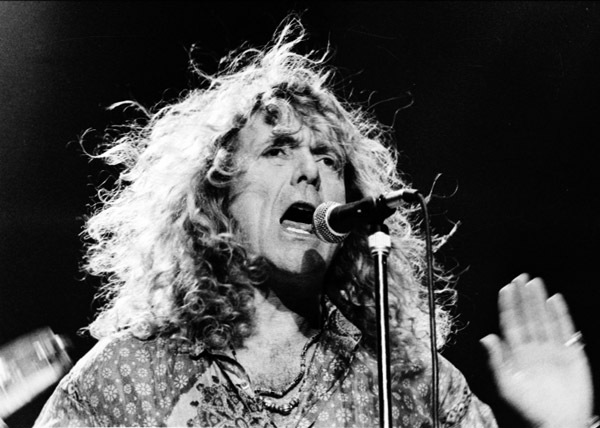 Posted in Uncategorized | Comments Off on Zeppelin’s Page & Plant, out on their own in Boston 1995.